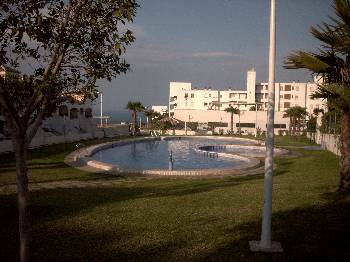 El Campello is a small Spanish Seaside Town situated on the Costa Blanca, just north of the City of Alicante. The town boasts kilometres of beautiful, white sandy beaches complete with a Palm tree lined promenade and crystal clear blue sea. The town has many restaurants offering a wide range of dishes, with locally caught seafood being a speciality. There is a harbour at the north of the beach where a fish auction is held daily at 5.30pm. Next to the harbour is a 500 year old look out tower used against invading pirates. Below this tower on a small rocky point called La Isleta are archaeological remains that date from 3000 years BC through the Bronze and Roman ages. Pottery found here from Islamic residents of the 11th century, is displayed in the museum in Alicante. 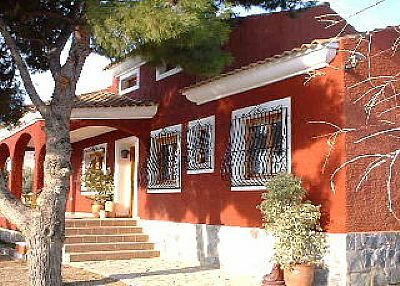 Although English is not as widely spoken as it is in other places along the Costa Blanca, visitors will have no problems in being understood in the small gift shops and bars that line the main road (San Bartólome) running adjacent to the coast. The town has plenty of supermarkets scattered along its length including; LIDL, Consum and two Mercdonas. The larger hypermarket of Carrefour is a five minute drive from El Campello. 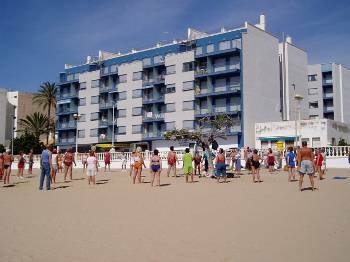 The town is an ideal holiday destination for all ages, although those wanting to enjoy the nightlife and frequent clubs through the night may need to travel to nearby Alicante. From the Tram stop in El Campello one can travel south into the centre of Alicante or north along the Costa Blanca as far as Altea. The Costa Blanca region averages about 3,000 hours of sunshine per year (about 325 days per year) and the average temperature is more than 20 degrees centigrade. El Campello’s major fiesta is “The Moors and the Christians” which takes place around 9th October and lasts for one week. Battles are re-enacted on the beach and there are street parades on two evenings lasting approximately three hours.